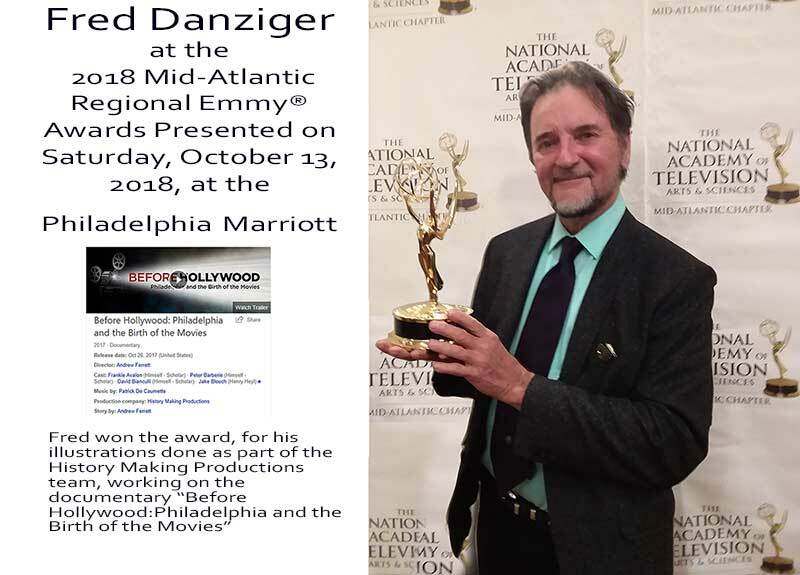 "At Rosemont College: Patricia Nugent Gallery"
In October, I received a Mid-Atlantic Emmy for my illustration work on the film "Before Hollywood" Quite a surprise!!!. 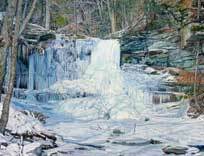 "Solo Show at FAN Gallery"
38 paintings from large studio pieces to small field studies. 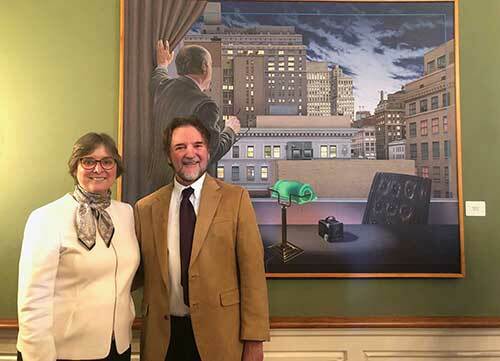 "At the PA Governor's Residence"
With First Lady Frances Wolf in September 2018. 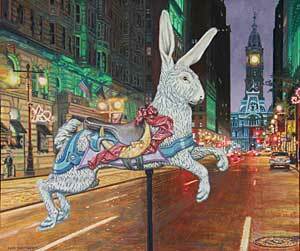 An exhibit of prize winning paintings from the State Museum in Harrisburg. 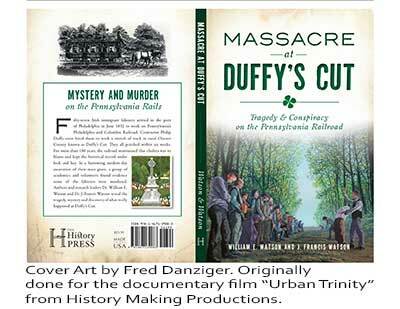 My illustration work being used as cover art for a new book on Duffy's Cut. 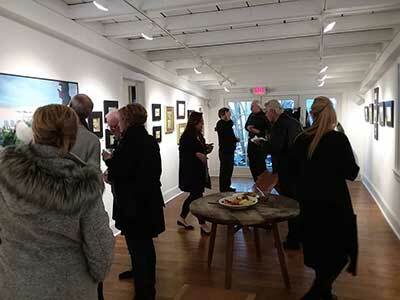 A solo exhibit at Gallery 222 in Malvern, Pa. in March 2018. 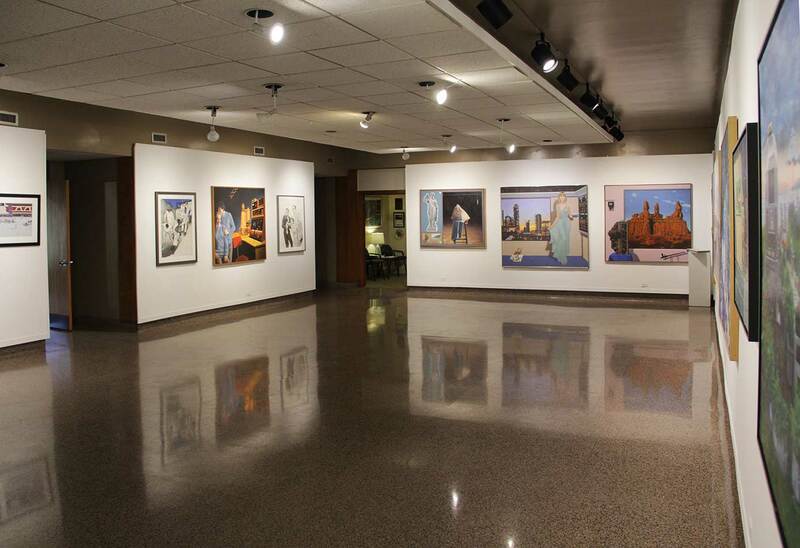 This is a beauiful new gallery with convenient parking! 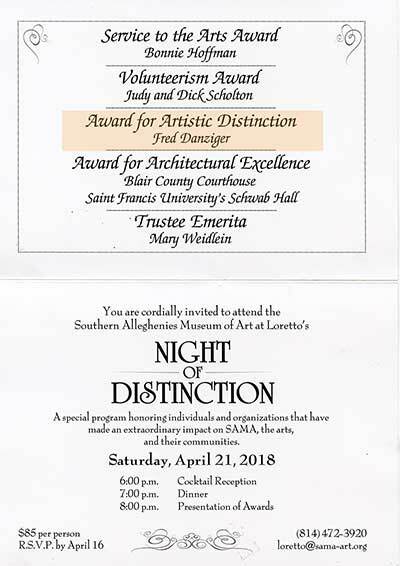 Also MARCH 2018- my work will be featured in an alumni of PAFA show at the Southern Alleghenies Museum of art...Also received their award for "Artistic Distinction" at the 2018 Gala dinner. 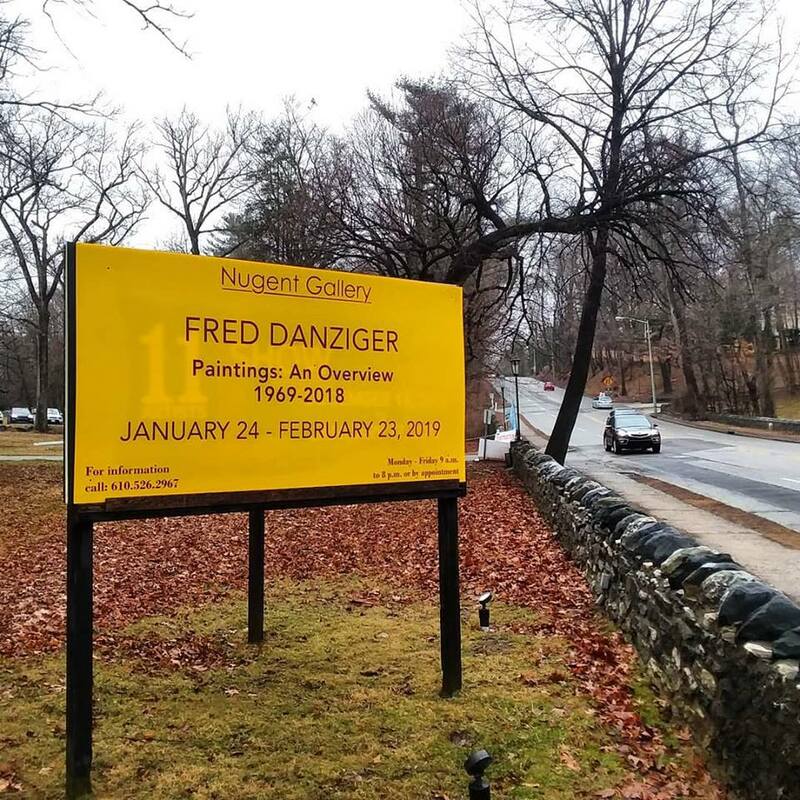 Many thanks to this wonderful museum! 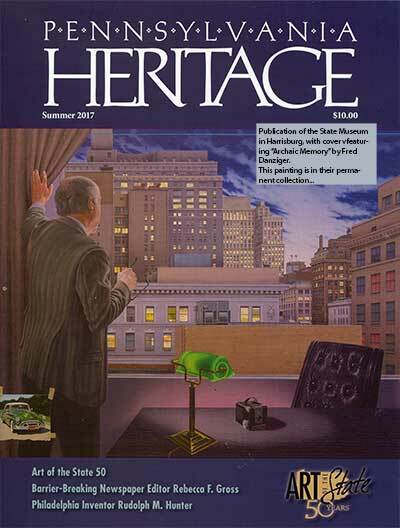 "At the State Museum in Harrisburg"
Very nice to be on the cover of a museum publication! 2017. 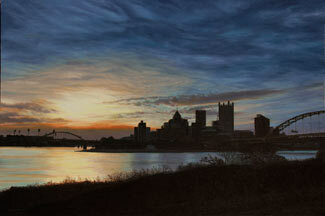 This painting has been acquired by the museum of Indiana, Pennsylvania University, Indiana, Pennsylvania. 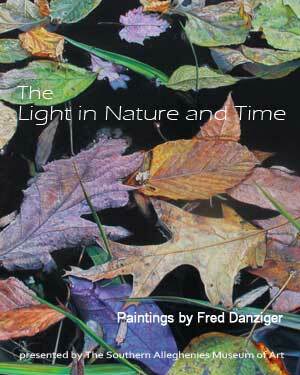 Over 60 works from 40 years of painting will be shown in this major exhibition.